Behind the Spud: Fight or Flight? Welcome back to another Thursday dev update! As you can see, one of the things we’fe been working on include a special mission! 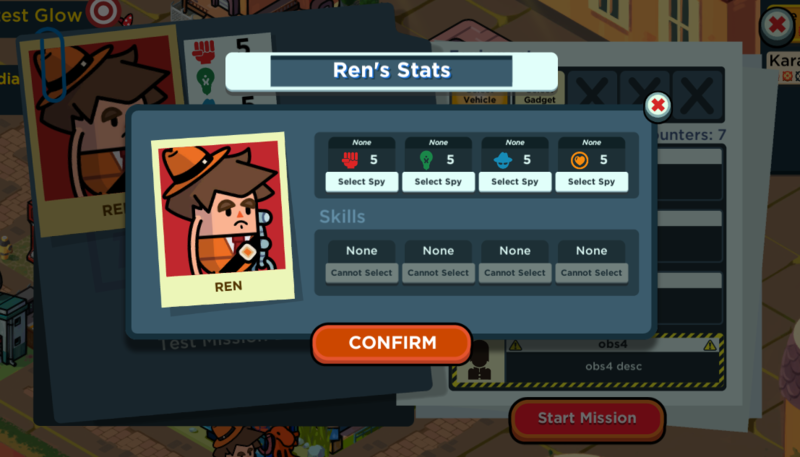 The specifics are not hammered out yet but you’ll get to carry out a mission in ‘real-time’ with the combined strengths of your other spies. A Spy Story?! is coming along smoothly; we ran a mini test in our office last Friday and collated a bunch of bugs encountered as well as suggestions! Testing the game without a fastforward button was q nightmare… 5yqhiw yq4i! Nothing’s more apt than celebrating the release of Holy Potatoes! A Weapon Shop?! on both Switch and PS4!! It’s quite exciting for us, and we’d like to thank all our players for patiently waiting. Work is startihg on We’re in Space?! too, so it won’t be too long before we’re releasint that on Switch and PS4 too!